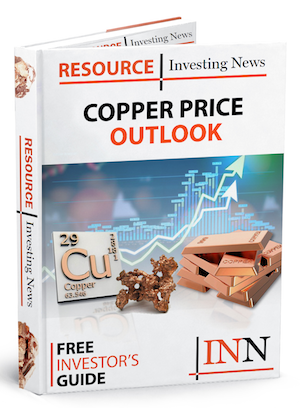 Aguia Resources has announced a maiden resource estimate for the Andrade copper deposit located within the Primavera project. 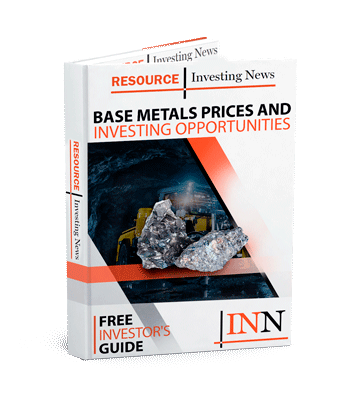 Just a few weeks after entering an option agreement to acquire the Primavera project, Aguia Resources (ASX:AGR,TSXV:AGRL) has announced a maiden resource estimate for the Andrade copper deposit housed in Primavera. The fresh estimate returned results of 10.8 million tonnes at an average grade of 0.56 percent copper and 2.56 grams per tonne silver. This includes an open-pit constrained inferred resource of 1.3 million tonnes of oxidized material grading 0.43 percent copper. Also included in the estimate is 8.8 million tonnes of sulfide-bearing material grading 0.51 percent copper, and 675,000 tonnes of sulfide-bearing material suitable for underground mining, graded at 1.42 percent copper. “This first pass drilling campaign at Andrade was very successful and provided us with the key data we needed to proceed with the option to acquire the Primavera targets. Based on the historical data available to us, it became clear that Andrade was a priority target for our initial drilling,” Technical Director Dr. Fernando Tallarico said in a statement. Located in Rio Grande do Sul, Brazil, the Primavera project includes eight claims that span just over 9,200 hectares; the acquisition boosts Aguia’s presence in the Rio Grande copper belt to 43,282 hectares. Primavera is situated 17 kilometers southwest of the company’s Big Ranch target and 65 kilometers north of its Canhada target. According to the company, it sought out Primavera after having staked out Big Ranch and Canhada, which took place last year. “Andrade is the jewel in the crown of the Primavera project claims we recently acquired. The new mineral resource for Andrade is located in a single structural panel. We have identified at least four panels over an 8 kilometer strike which starts north of Andrade and ends 2 kilometers to the south of Primavera,” Aguia Managing Director Justin Reid said in a statement. Aguia’s share price was up 11.11 percent at the end of trading on the ASX on Monday (March 18), closing at AU$0.11. As of March 15, copper was trading at US$6,409 per tonne on the London Metal Exchange. Securities Disclosure: I, Olivia Da Silva, currently hold no direct investment interest in any company mentioned in this article.